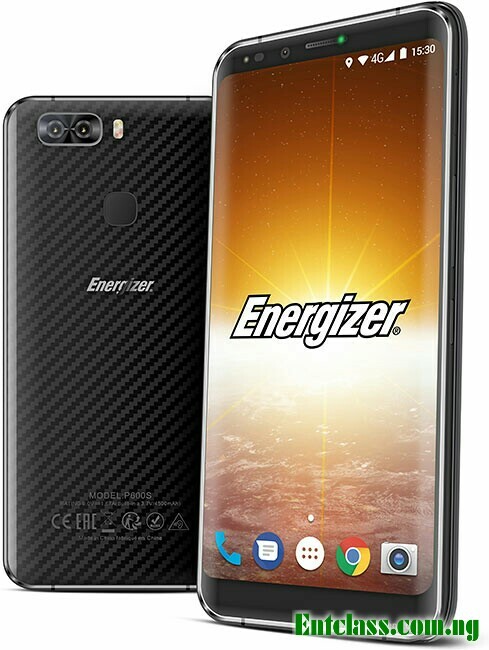 Energizer Power Max P600S might sound new to many of us. Ofcourse yes, it's 2018 latest device and we should expect to see more new devices been released this year. 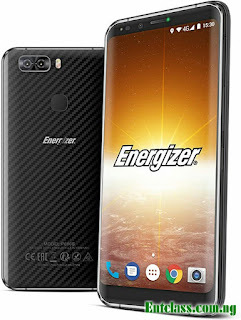 Energizer Power Max P600S as the name implies it's a phone with big battery capacity of 4500mAh with fast charging technology. The device is also 4G LTE enabled, runs on Android 7.0 Nougat straight from the box and powered by Mediatek MT6757CD Helio P25 chipset with Octa-core 2.5 GHz Cortex-A53 CPU. There's a rear-mounted fingerprint scanner, a 5.9-inches screen with FullView 18:9 aspect ratio display. Dual rear cameras 13MP + 5MP shooter with dual led flash and 8MP front selfie camera without flash. Have a look at the complete specifications below. Price About 360 EUR / $430 USD. They're really living up to the name, battery is energized, price is also energized. Good debut from the energizers. Hopefully our pockets too will be energized enough to get it in this energized year. the phone has good specifications plus good battery.